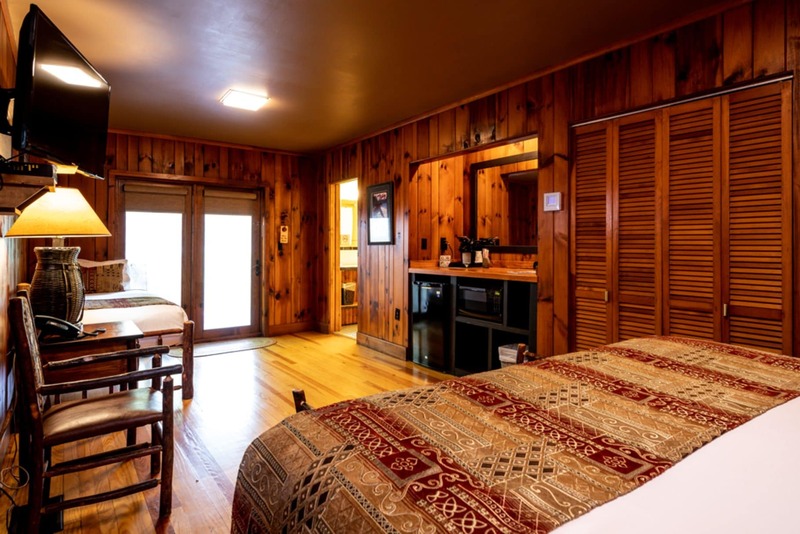 The Cheoah Cabin, named in honor of the rushing river in front of the lodge, features three units all with private porches and spacious rooms. 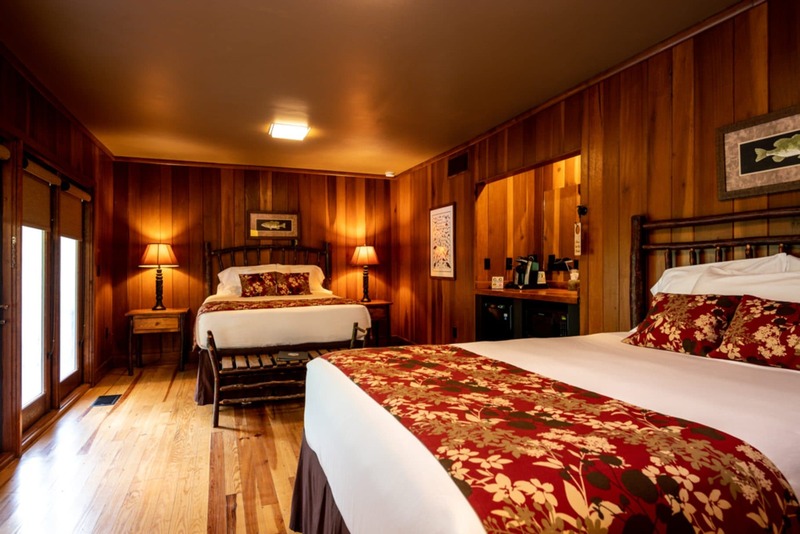 Cheoah Cabin Room One is a spacious room with a plush king bed, a double bed, and private bath. 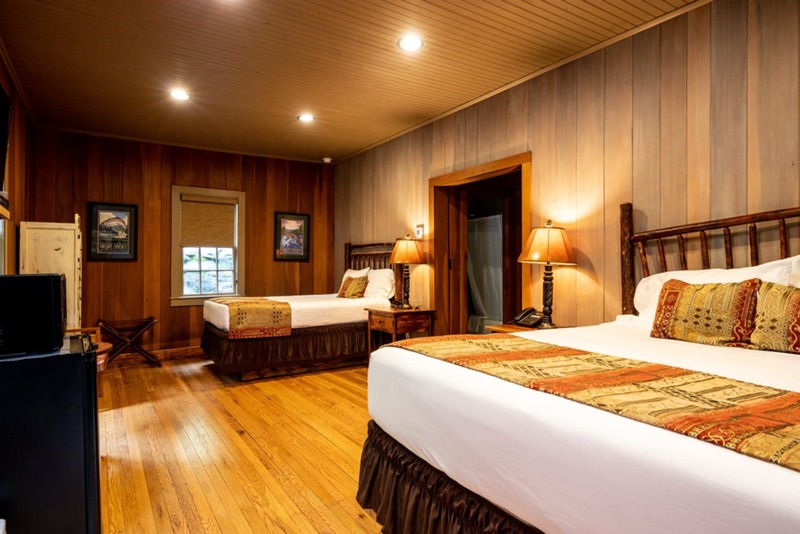 The private porch overlooks our beautiful and historic lodge. 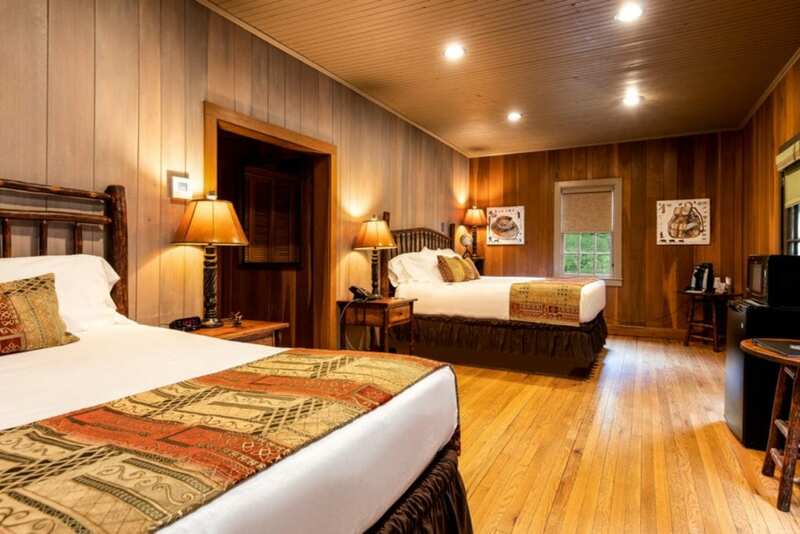 Cheoah Cabin Room Two features a wall of windows which open to a large, well-furnished porch with views of the famous Tapoco maples and lodge property. 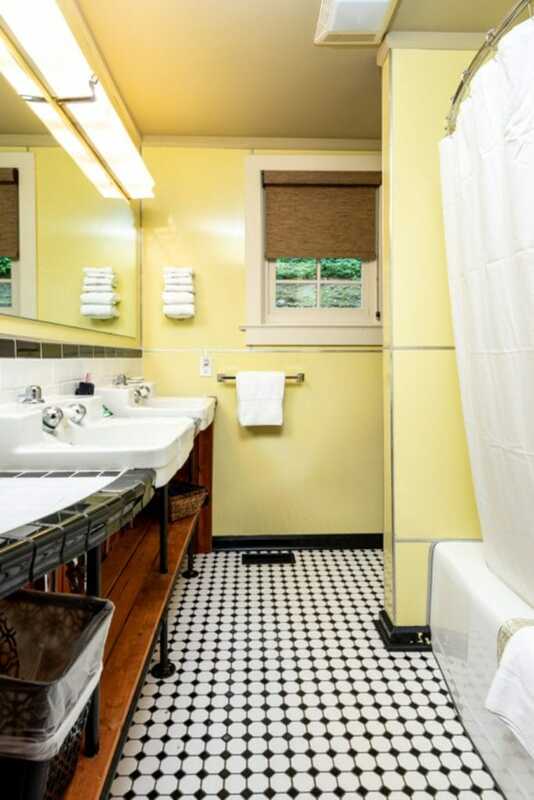 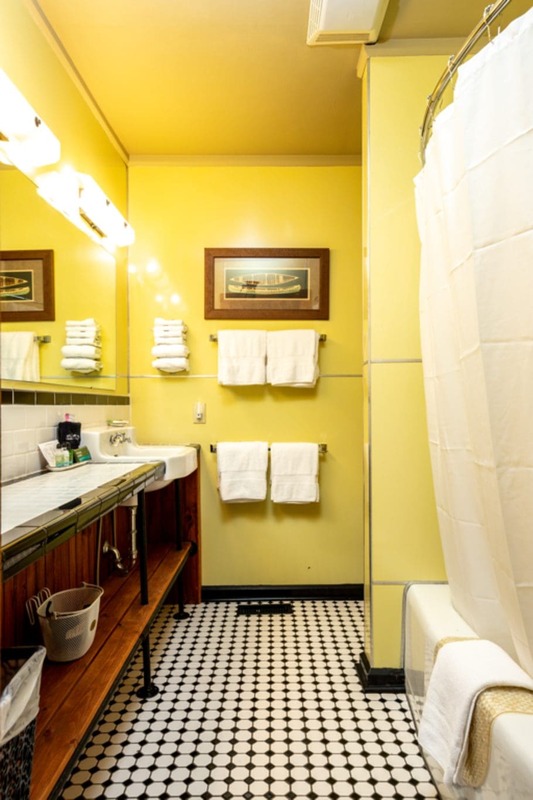 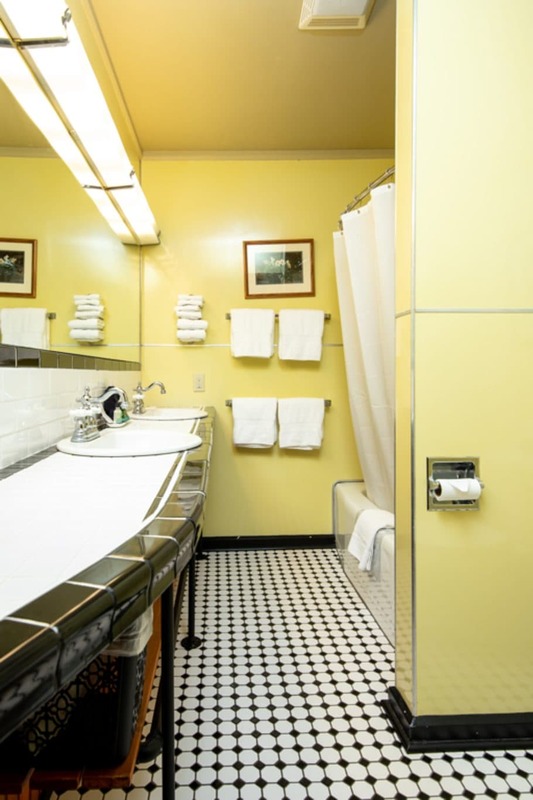 The room is furnished with two queen beds and a private bath. 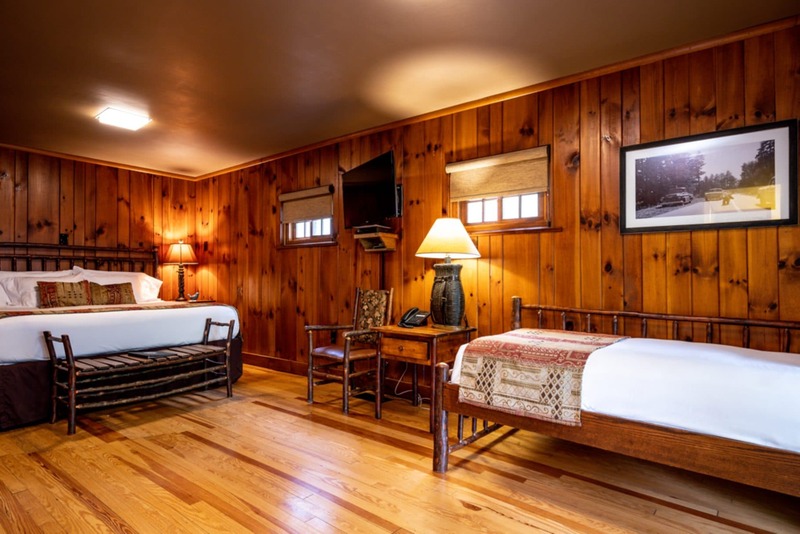 Cheoah Cabin Room Three is furnished with a plush king bed and a comfortable twin daybed to relax on as well as your own private porch to enjoy.